Some of the most personal decisions you will need to make are decisions that can be impacted by elder laws in California. When you want to plan for what types of end-of-life care you will receive; what happens if you get sick; and what happens to your family after you pass away, it is an elder law attorney who will help you. Elder law attorneys also do much more than you might imagine. From making sure you can care for a beloved pet after you are gone to helping craft your retirement plan, attorneys who work in the field of elder law can provide you with the tools you need to take care of yourself and everyone you love. What kinds of elder law services do I need? When should I get help with elder law matters? How can a Northern California elder law attorney help me? Set goals for saving for retirement, college educations, and other large expenditures. Take advantage of tax breaks available for retirement investing, college savings, and certain other types of savings. Use IRAs and other tax-advantaged retirement accounts to make saving easier. Create a plan for nursing home care to be paid for. Plan for the care of pets and children in case you pass away. Creating a Medi-Cal plan so you don’t have to spend your assets in case you need to go into a nursing home and so your assets are not lost due to estate recovery if you qualify for and receive services through Medi-Cal. Using trusts to reduce or avoid estate taxes; to protect heirs from squandering an inheritance; and to facilitate the transfer of assets after death. Structuring your business so your personal asset are kept safe and so the company can transfer more easily to new owners in case of incapacity or death. A power of attorney to name an agent to manage assets and make decisions for you. Living trusts so your assets can be managed by a backup trustee in the event of incapacity. An advanced directive and/or living will so you can determine what kinds of extraordinary medical care, like a feeding tube or CPR, that you want to receive in case of an emergency. Naming a healthcare proxy so it is clear who will make decisions on your behalf. A last will and testament for disposition of your assets. Trusts if your heirs have special needs, if you want to avoid probate taxes, or if you want assets to transfer more quickly. These are just a few of the different services an elder law attorney can provide to you. The specifics of what your plans will include are based on your income, family, and stage of life. You need to get help with elder law matters now if you’re concerned about your medical future; if you have loved ones or causes you care about; or if you want to protect your assets for the future. You should not leave things to chance, as you never know when death or incapacity could potentially occur and leave you and your family in a bad situation if you have not acted. 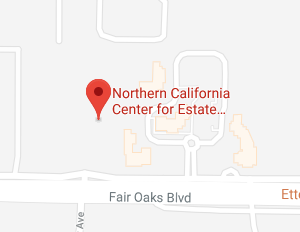 Northern California Center for Estate Planning & Elder Law provides all of the services you need to create a more secure future for yourself, your children, and those who you love. If you are ready to take steps to protect your finances, safeguard your autonomy, and care for the people in your life, we are ready to give you the tools and advice to achieve your goals. To get help with elder law matters in Sacramento, Roseville, Davis and surrounding areas , call 916-437-3500 or contact us online to speak with a Northern California elder law attorney today.